Former ESPN, MSNBC, Current TV, and Fox Sports host Keith Olbermann announced on Monday that he is retiring from political commentary. In other words, Olbermann got a real job. I love the part about “kind words and all the support”. So much support that Olbermann lost a YOUTUBE SHOW! Now THAT’S funny! Talk about a fall from grace. Keith Olbermann can’t even keep a YouTube show! And what will the “Resistance” do without their leader? One of the most provocative voices in American politics is back! 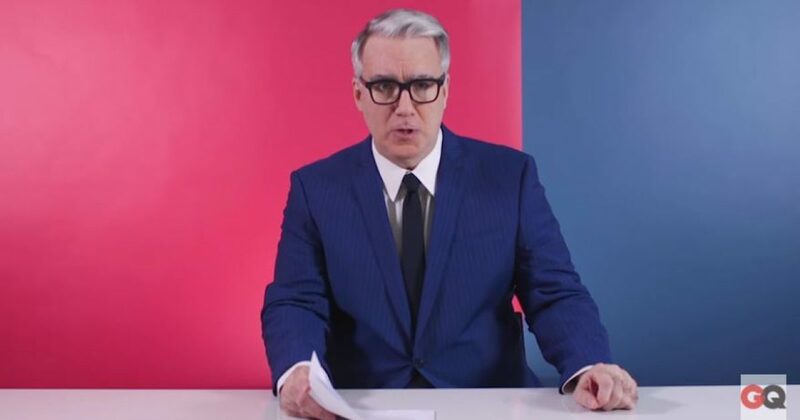 GQ’s Special Correspondent Keith Olbermann hosts “The Resistance,” a series of political commentary and special interviews that’s unlike anything else on the internet or on television. Interestingly the number of shows for “The End” appears to be 147 and not 188? I’m not buying the reason for his departure. So what’s really up? Ever the optimist, that Olbermann. He explains his confidence of pending doom for President Trump, with his typical moronic lectures. Not a single thing he says makes sense, but then that’s quintessential Olbermann. He’s been doing this for years, so why quit now? This query brings me to the most intriguing revelation: Olbermann said that he did the GQ series “for free and for charity,” but he did not enjoy it. Bashing Trump wasn’t enjoyable for the man? That’s can’t be it. So what took the joy out of this job is that Olbermann did it for free and for charity. GQ hired Olbermann as a SLAVE, and he didn’t like it! I bet you money that Olbermann went to GQ and demanded money for this show. Further, I bet Olbermann took the job with the notion that once he proved his worth GQ would compensate him. You see where things ended up. Ironically, Olbermann’s last episode will likely be his most popular! Regardless, now Olbermann the politico is no more. He’s on to “enjoy life” as he put it. According to a tweet I read from Laura Ingraham, Olbermann is going to work for Conde Nast. We will keep you posted on where Olbermann lands.